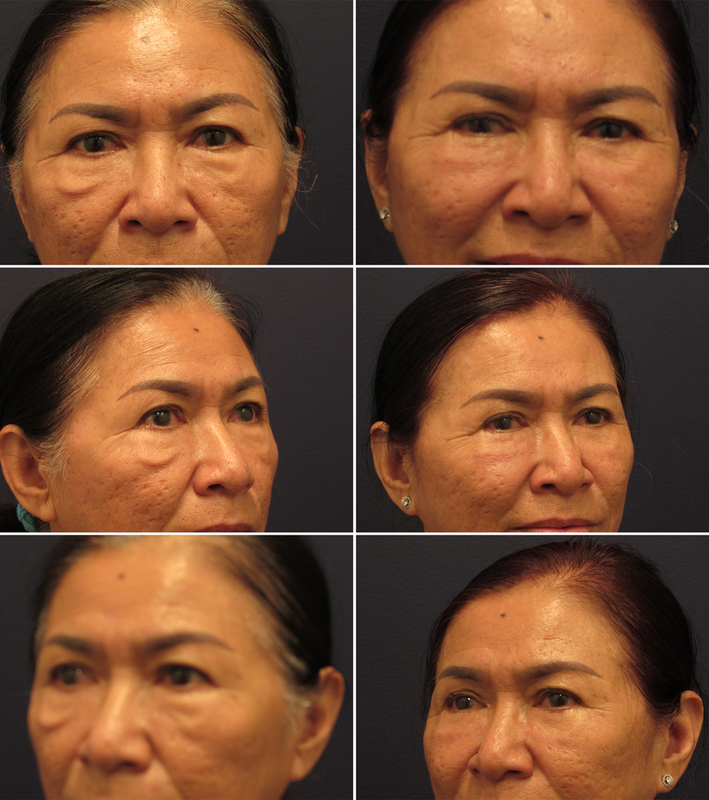 This woman presented to rejuvenate her eyes which were challenging with the excess lower lid skin at the cheek level. She underwent eyelid surgery of the upper and lower eyelids as well as facial fat transfer to freshen her look. She is photographed 8 months after surgery. This man was having visual disturbance from the excess skin of his upper eyelids. 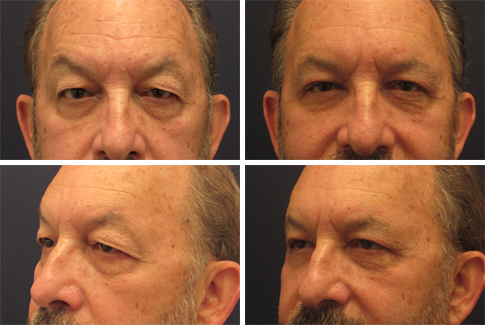 He underwent a functional upper lid blepharoplasty. Not only are his lids improved: so is the tension in the brows and forehead - since he is no longer straining to see. 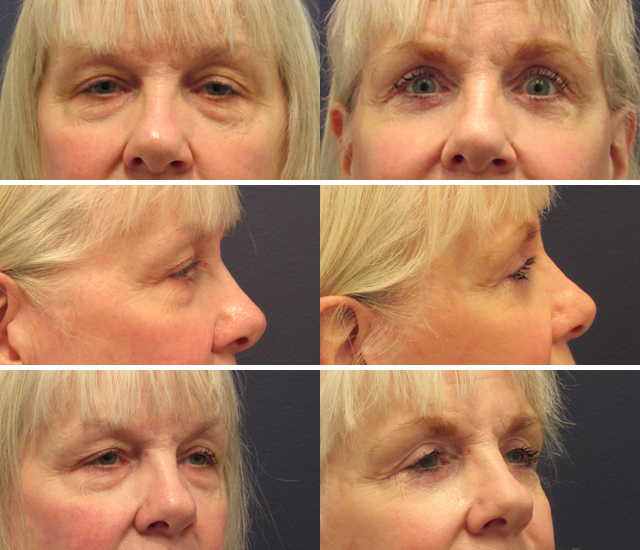 This woman underwent upper lid blepharoplasty in combination with face and necklift. She is photographed 5 months after surgery. She looks more rested and feels more herself. This woman in her 70's underwent lower lid blepharoplasty to rejuvenate her look - she did not desire having her upper lids done. She is photographed 1 year later. 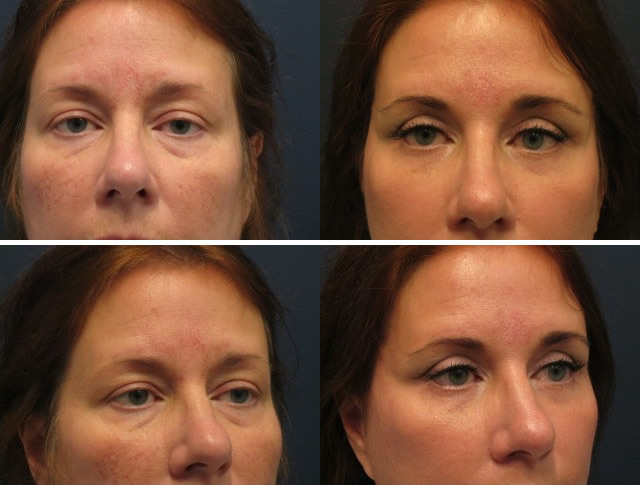 This is a woman who desired rejuvenation of her upper eyelids. 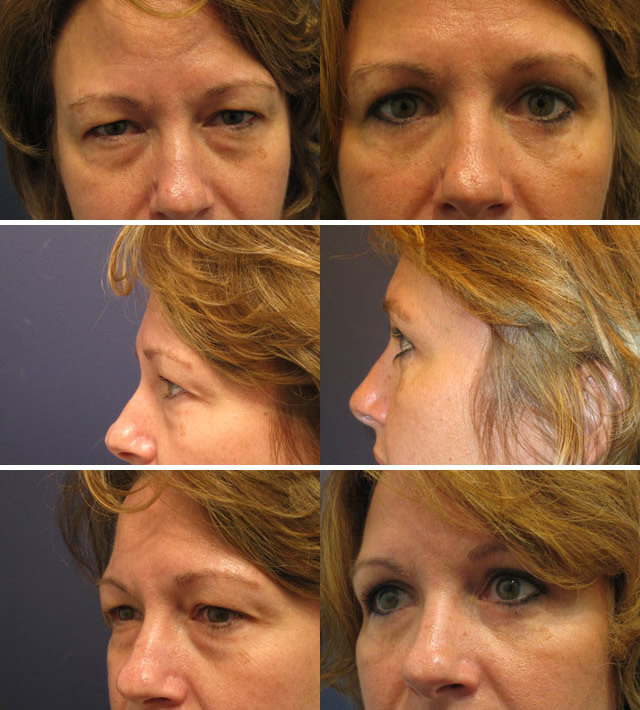 She had upper lid blepharoplasty. She looks much more awake and upbeat. This is a woman in her 40's who complained of looking tired all the time. She underwent upper and lower lid eyelid surgery and is photographed 4 months after her surgery. This woman in her 40's had only her upper lids treated, opening her eyes and refreshing her look without being obvious. 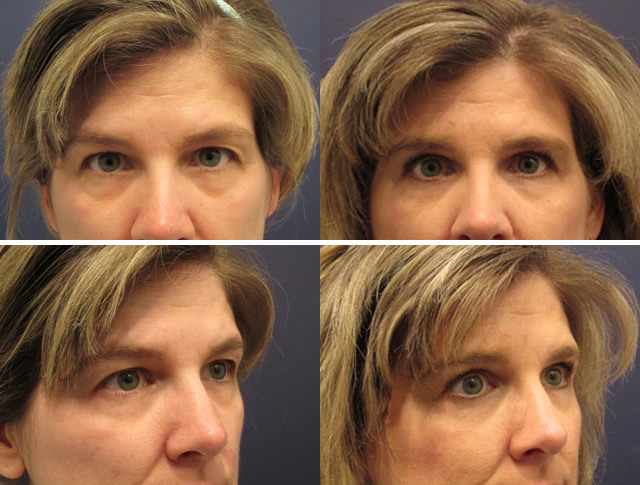 This woman in her 50's had upper and lower lid blepharoplasty. She has refreshed her look without dramatic change in her appearance, just turning back the clock. 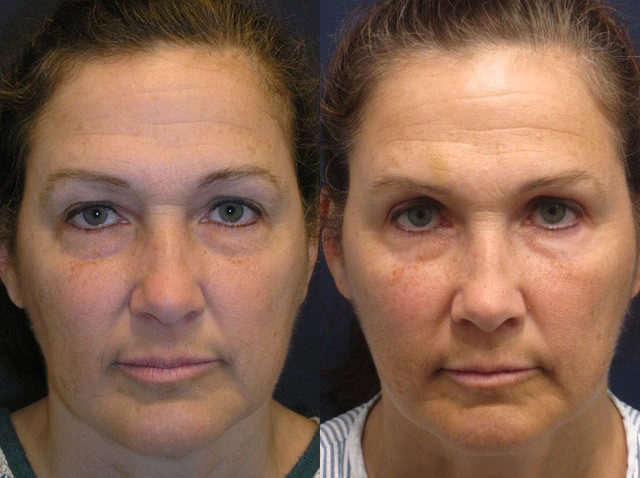 This woman in her 60’s had upper and lower lid blepharoplasty and endoscopic browlift to refresh her face and open her eyes, to match her upbeat spirit. 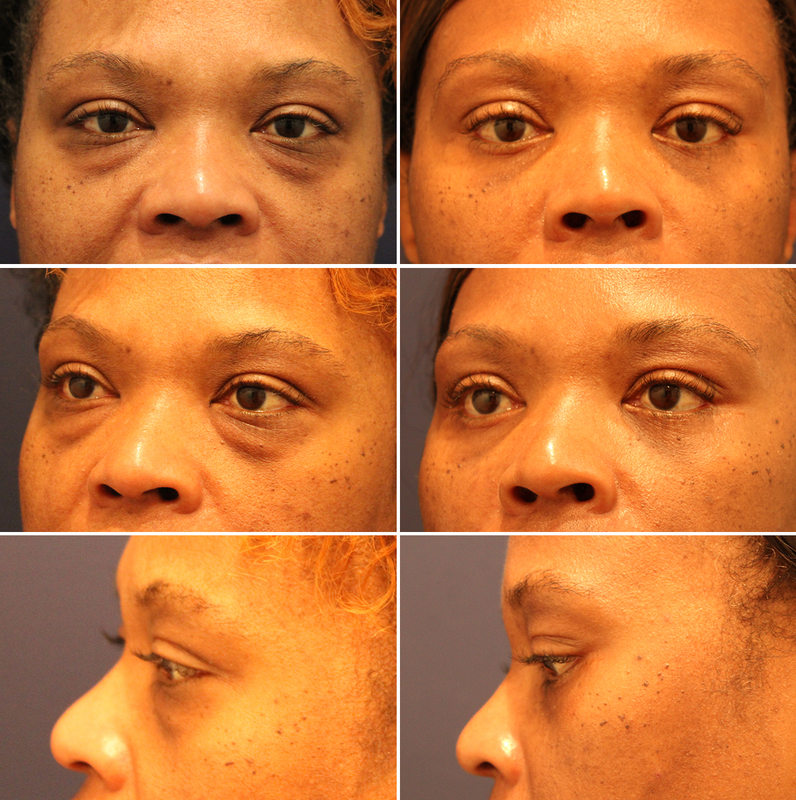 This 47-year-old woman was interested in facial refresher surgery. She proceeded with endoscopic brow lift and upper lid blepharoplasty. She is photographed 4 months after surgery. 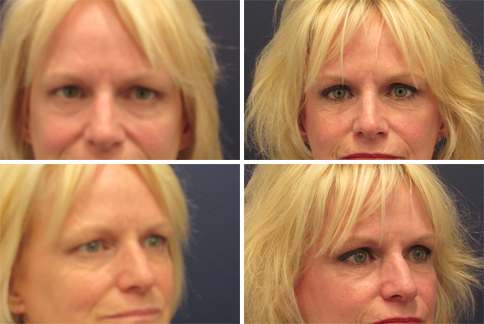 This woman in her 50’s had upper lid blepharoplasty, combined with facelift. 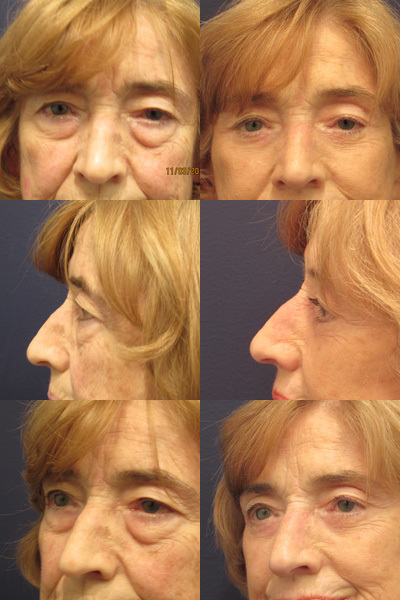 This 65 year old woman had upper and lower lid blepharoplasty with her facelift. She is photographed 8 months after surgery. This is a woman in her 60's who was diagnosed with a superior visual field deficit from her heavy upper eyelid. 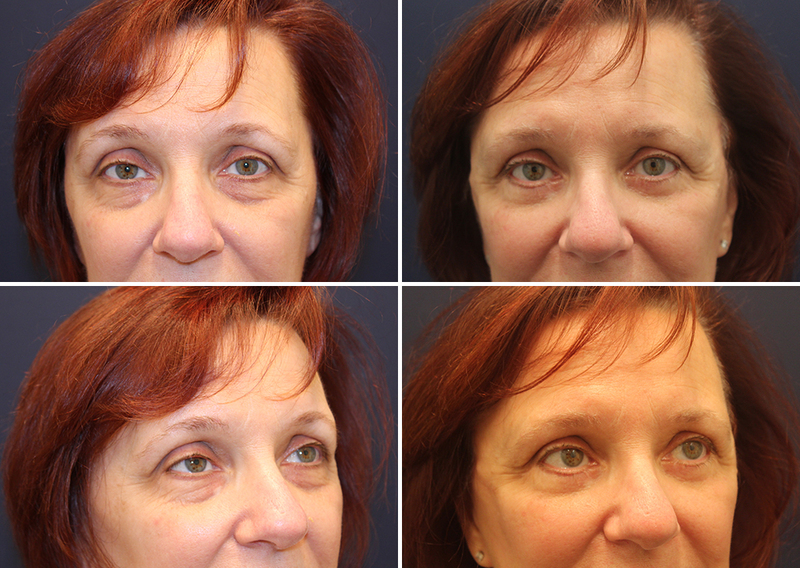 She had functional upper eyelid blepharoplasty performed. This is a woman in her 60's interested in rejuvenating her look. Her appearance did not match her otherwise vibrant attitude. 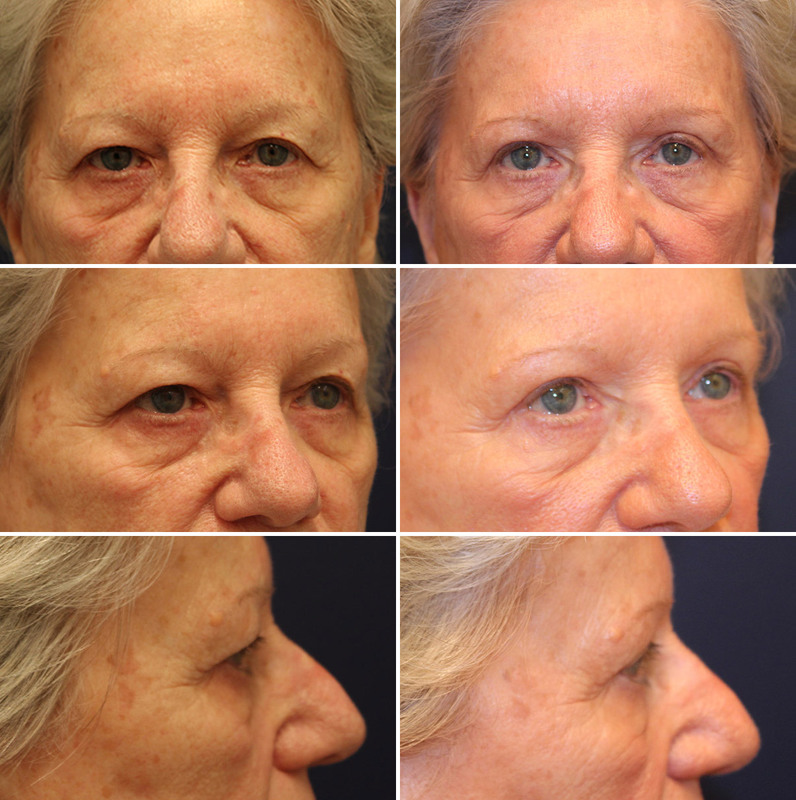 She had a blepharoplasty, endoscopic browlift and facelift, with some facial fat grafting. She is photographed 5 months after surgery. This woman in her 50's did not like the tired look of her eyes. 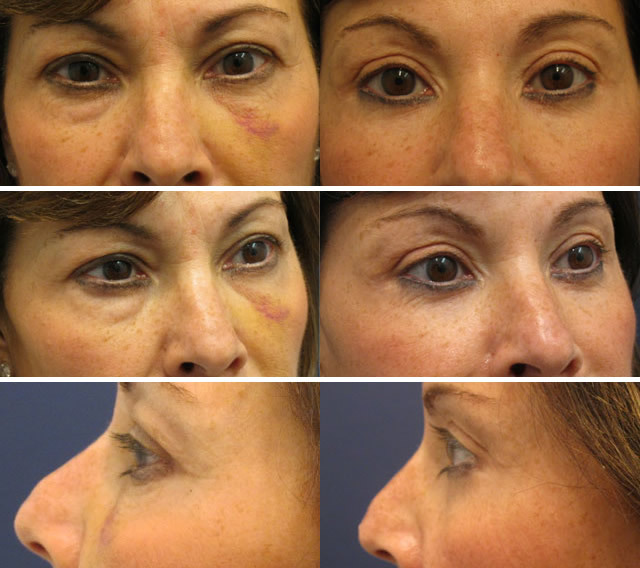 She pursued blepharoplasty. In addition she had a facelift.